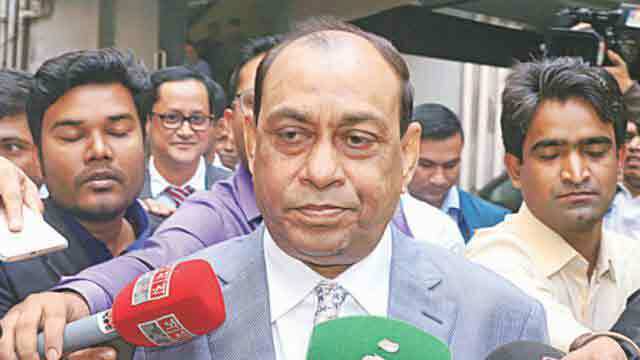 Dhaka, May 7 (Just News): Anti-Corruption Commission (ACC) has fixed May 15 for quizzing BASIC Bank's former chairman Sheikh Abdul Hye Bacchu after he skipped today's interrogation over loan scams. "He submitted an application seeking 2-month time on the ground of illness," said an ACC deputy director preferred to be unnamed. The ACC already have quizzed Bacchu several times over the loan scams involving around Tk 4,500 crore. Earlier in the morning, the ACC official said "I've forwarded the letter to high-ups. They will now decide whether he will be given time." So far, ACC quizzed him four times. On December 17 last year, Bacchu sought 30-day time on the same ground. But the commission did not allow it. It quizzed him on January 8 for the third time. Bacchu was first quizzed on December 4. On March 8, he was quizzed for the 4th time. According to a Bangladesh Bank enquiry, about Tk 4,500 crore was siphoned out of the state-run bank between 2010 and 2013 when Bacchu chaired its board. On July 14, 2014, the central bank sent a report on the scam to the ACC, detailing how people embezzled money from the bank through shell companies and dubious accounts. The BB found that Bacchu illegally influenced all the activities of the bank, leaving the once-sound institution in a grave state. In 2015, the ACC had filed the 56 cases over the scam. However, Bacchu was not made accused in any of the cases.